Recreate an image of your home, The Nut House. Learn fusing techniques like pattern transfer, bias weaving, and making it up as you go along. Learn how to add hand embroidery and bind your small art quilt too. Pattern templates are provided, but you will provide the fun and imagination. 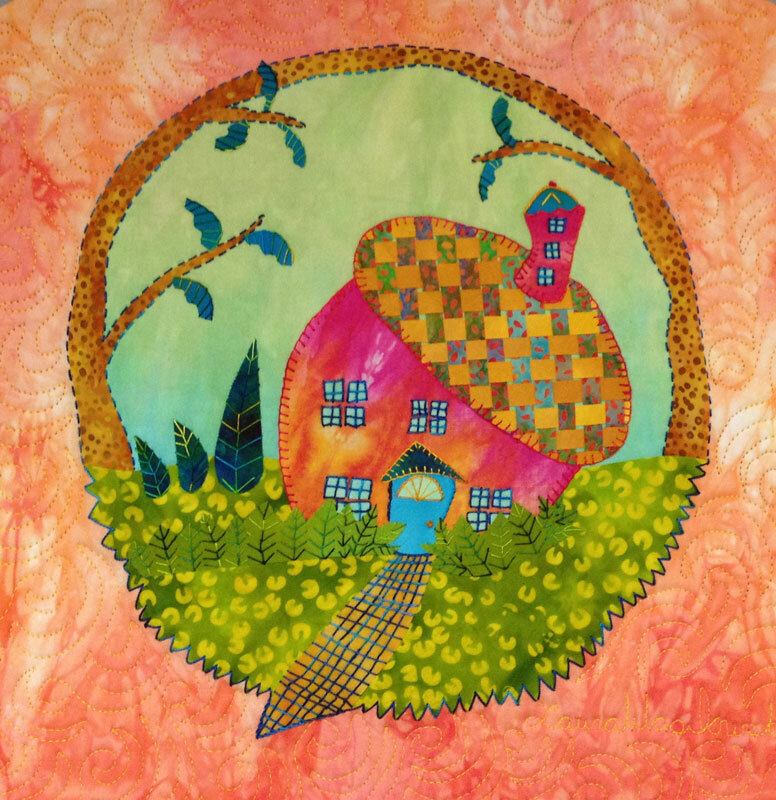 Bring your Nut House to life with a kit of beautifully hand-dyed fabrics and threads. (No sewing machine is needed.) $25 Kit Fee. $25 Kit Fee: Includes hand out, templates, hand-dyed fabrics and threads, needle. Student work from Tennessee Quilts. 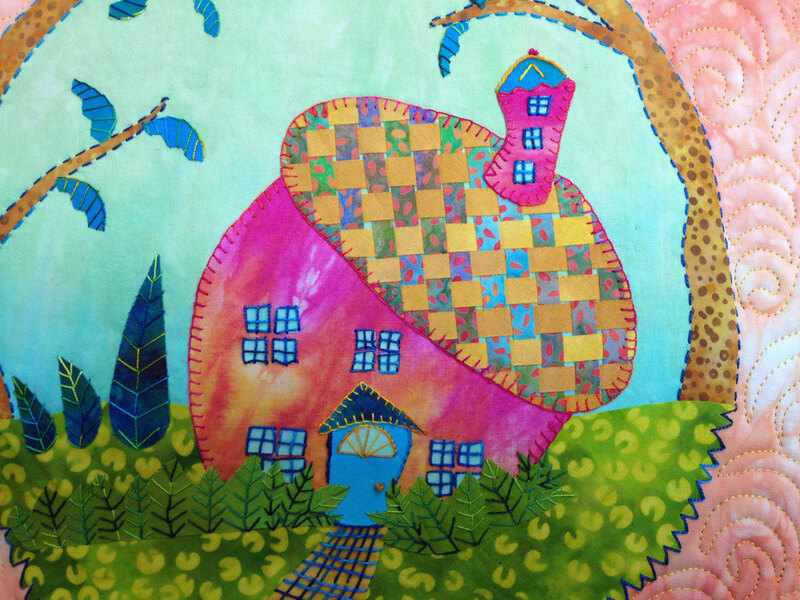 More examples of work by members of a class at Tennessee Quilts.